This is a monthly delivery of 3 to 6 items for bikers that ride standards, cruisers, sportsters & the other traditional style motorcycles. Customize your experience by choosing what type of box and gear you want or need. 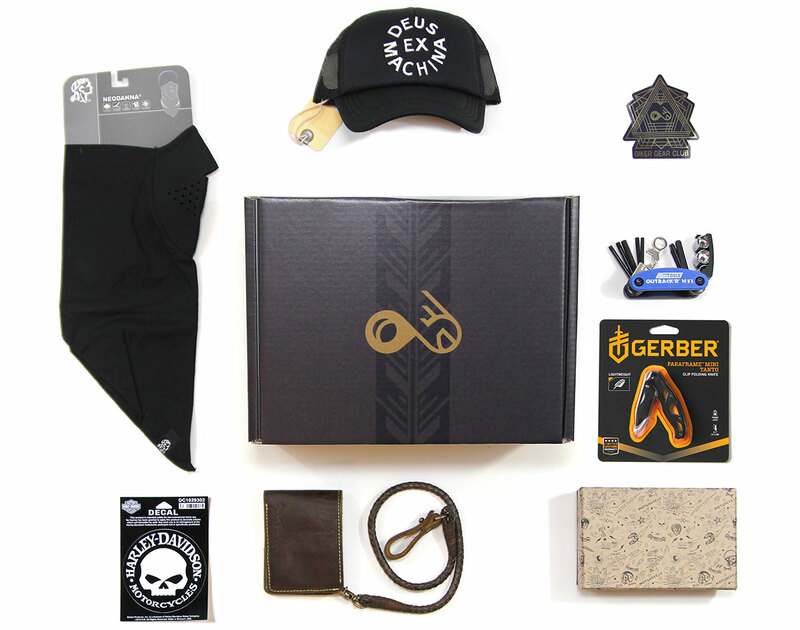 This box is designed for bikers who love and ride everything that roots from the standard style classic motorcycles. We choose items that encompass motorcyclists who love Harley Davidson, Indian Motorcycles, and the entire family of metric standard style bikes as well. By letting us know what you ride we will know what to pick just for you. Each month, you’ll receive 3-6 products for a total value of $80-$100 or more. Let us help by curating the best the industry has to offer on a regular basis. You must order by the last day of the month to receive your box the next month.